These are the tote bags you can choose from for your Kickstarter reward. Tote bag dimensions are approx. 38cm wide x 41cm deep (14.96 x 16.14 inches). The top of the bag to the apex of the handle measures approx. 30cm (11.81 inches). 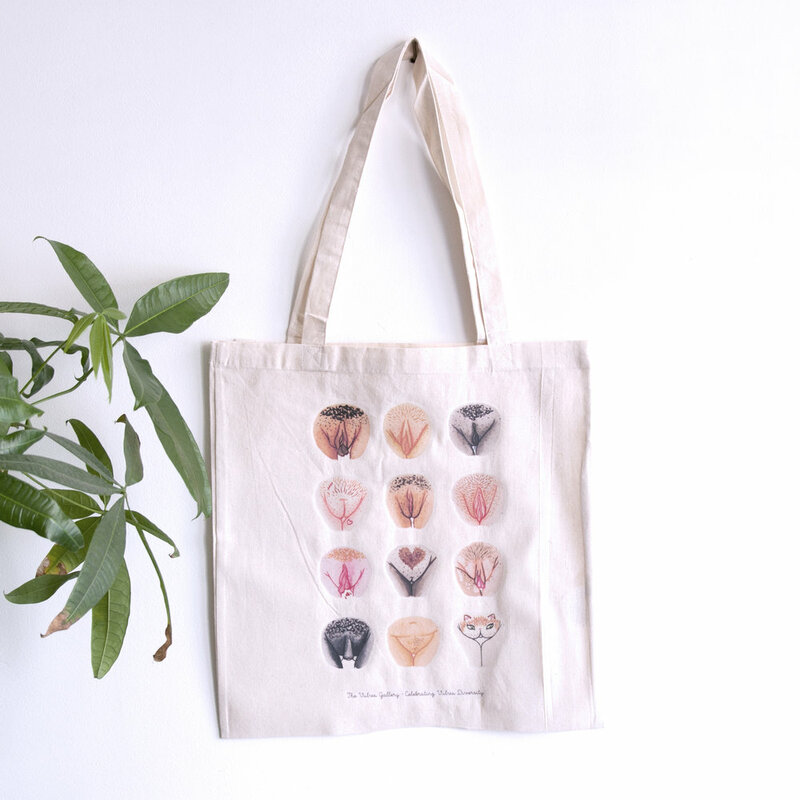 The illustrations are printed in full colour onto heavy cotton tote bags. The bag has an off-white color. >> Note: as the illustration is printed onto it, I would advise hand wash cold, and not to wash it often. Sizes and colours may differ slightly from the photographs.